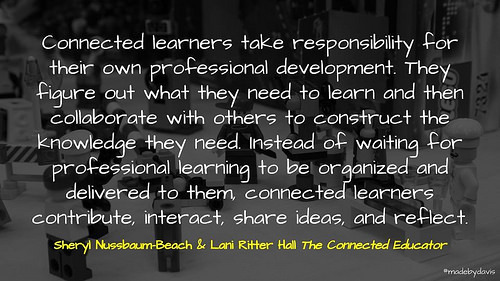 The Connected Educator, by Sheryl Nussbaum-Beach and Lani Ritter Hall, provides a thorough introduction to becoming more connected. Through a mixture of anecdotes, elaborations and questions, the authors invite those wishing to adapt their practice for a participatory culture made possible by Web 2.0. Although technology plays its part throughout, this book is about the educator as learner first and in the process taking control of their own professional development. Professional Learning Community (PLC): local school-based groups usually revolving around face-to-face interactions. Communities of Practice (CoP): online communities built around particular goals or focuses. Personalised Learning Network (PLN): A global network that is continually curated and cultivated. Although it can be easy to treat these layers in isolation, the reality is that each influences the other in their own way. For example, deep inquiry fostered within a community of practice is often fed by the breadth of sources and connections derived from the personalised learning network, while professional learning communities often add context and purpose to the process. Connected learning allows the learner to construct knowledge through passive (knowledge for), active (knowledge in), and reflective (knowledge of) strategies. This is a significant change from the consumption of knowledge perpetuated through the implementation of off-the-shelf instruction models and pre-conceived curriculum. The adjustment from top-down reform to more organic and agile learning environments brings a set of challenges, particularly in regards to leadership and the building of trust. According to Nussbaum-Beach and Ritter Hall, this comes back to the question of collegiality. Whether it be the development of relationships or a willingness to share openly, much of this is not possible without a sense of community and a belief in distributed leadership. Having said all of this, I had a few frustrations with the book. Firstly, such a heavy focus on applications is always going to risk dating quickly. Although most of the applications discussed are still active, there were quite a few missing, such as Voxer, news aggregation and newsletters. In addition to this, there were few alternatives provided, especially in regards to open source options. The second concern I had was the lack of critical discourse around the use of various applications and the scraping of data. I am not sure if this is a consequence of being written in a pre-Snowden era or whether it simply did not fit the scope of the book. In the end, I felt that The Connected Educator is one of those books I wished I had discovered earlier, especially in regards to my work around communities of practice. Yet in some ways I feel that although I may not have read the book until now, I had experienced its message through some sort of digital osmosis, often via other people’s support and writing. 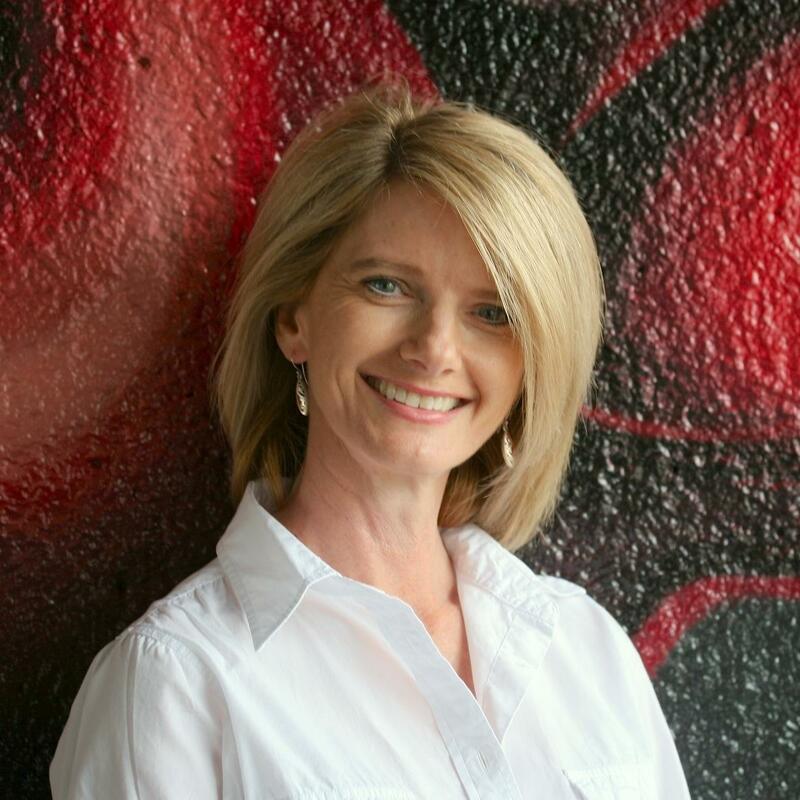 Like Will Richardson’s Master Teacher to Master Learner and Steve Wheeler’s Learning with E’s, The Connected Educator offers a useful starting point for those wishing to take a stand for the children we serve and choose to be powerful. DISCLOSURE: I read this book as a precursor to working with Sheryl Nausbaum-Beach. Apparently everyone has read it and therefore I felt compelled. REVIEW: The Connected Educator by Aaron Davis is licensed under a Creative Commons Attribution-ShareAlike 4.0 International License. Hi Aaron I haven’t read The Connected Eeducator. Is it already dated? Are there better books on this subject or is it stil a worthwhile read? Although some of the technology may have changed or morphed, the book itself is still very relevant. A useful provocation for what it means to be connected. If not The Connected Educator, I would probably recommend Will Richardson’s From Master Teacher to Master Learner.